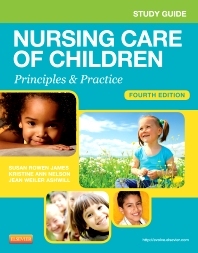 Written in a study-friendly style, this study guide includes learning activities, NCLEX Exam review questions, helpful hints, and applications to reinforce your understanding of the concepts and information found in the Nursing Care of Children, 4th Edition textbook, and help you pass the NCLEX. Consistent organization corresponds with the chapter layout in the text. Enhanced learning features help you master concepts and content from the text. Answers for the student learning exercises and the review questions are located at the end of the study guide.